I always look forward to receiving the next Boxcitement box. I think they offer good value for money, even though they are slightly more of a premium cost; £18 a month (an annual subscription brings that down to £15 a month). I also like the fact that you feel a bit like a community as they team often share sneak peaks on their website or instagram. 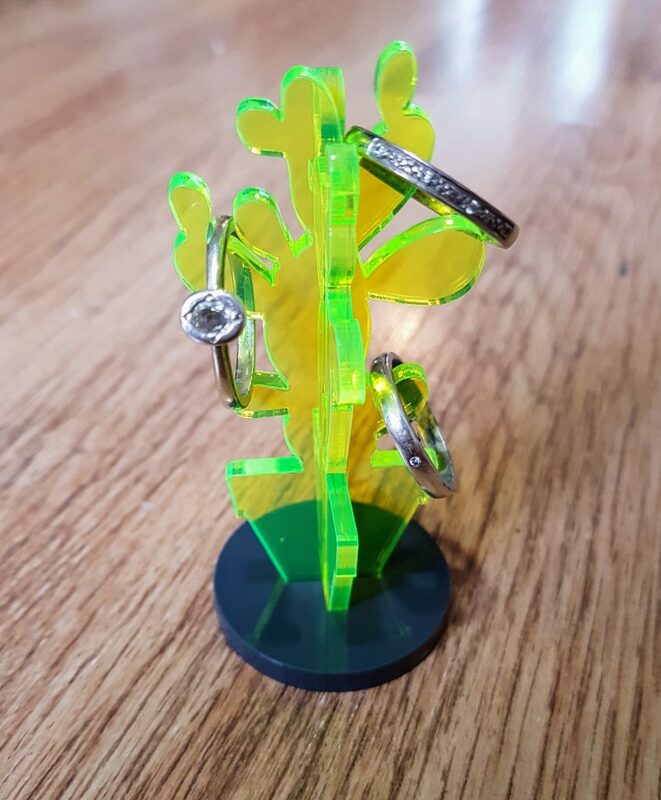 There were two items I loved in this month’s box, the cactus ring holder was the first. I mean just look at it. How perfect is that to take on holiday with you. Here it is in use. It’s so simple to put together and the eye-catching day-glo green means it definitely won’t get lost. 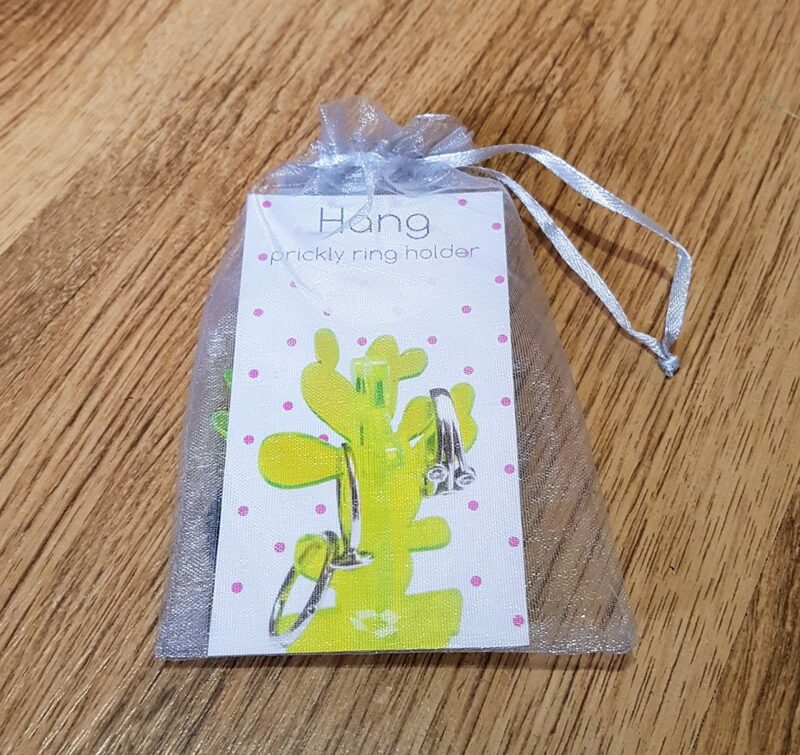 I currently keep mine in the bathroom so I can pop my rings on it when I’m cleaning or having a shower, but when we are next away I plan to pop it in my wash bag and use it on holiday. 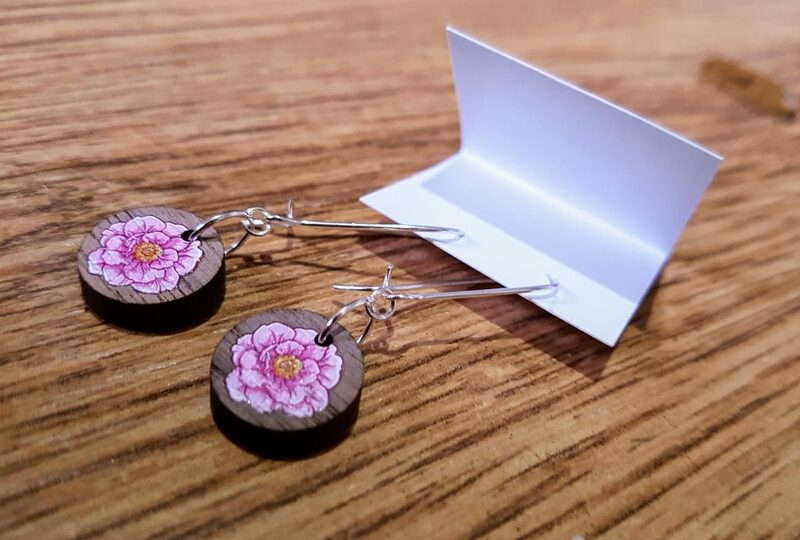 My other favourite are these lovely earrings which have had plenty of wear in the last week or so. It turns out I own a lot of florals and seem to have quite a lot of pinks in there too so these have become a real staple. 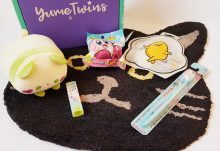 They look expensive, I wouldn’t hesitate to pay £8-£10 for these alone (half the cost of the subscription box) so this month you are definitely getting your money’s worth. Another plus point is that they are so light that they have been easy to wear during the heatwave. 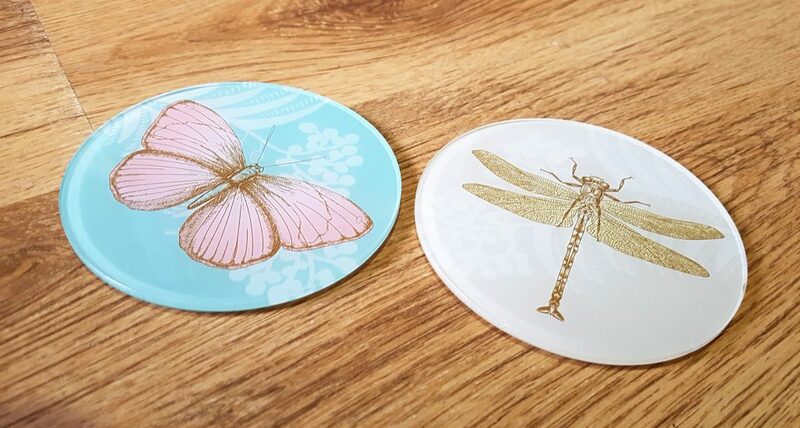 I wouldn’t actively go out and buy coasters but I really like the set that came in the box this month and plan to gift them to my mum whose extension has a garden theme and these will fit right in. Again, these look quite expensive and I would easily see them on sale for £6-£8 (or even more). The only reason I am not keeping them is that the colours don’t work in our house and they do in my mums. I also really liked the magnetic pad and pen set that came in the box this month. The sticky notes are great and very handy! 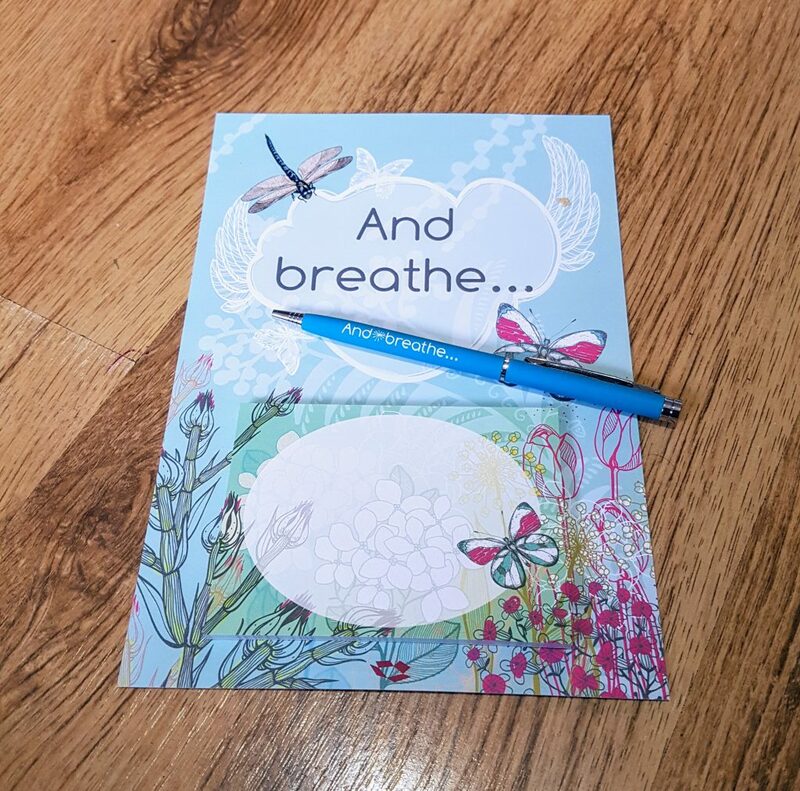 We have a lot of blue in our kitchen so this is already stuck to the fridge and I’ve started noting down shopping items on them when I spot we’re running low. 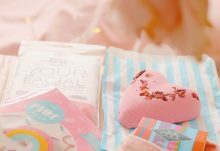 I wasn’t overly fussed with the guest soap – but that’s because we don’t often have guests and we don’t tend to use soap (we do use soap!! Just not actual bars of soap!). I will keep hold of it as it could make a sweet stocking filler but was really the only fault I could find this month – and that’s just because I’m picky! It's a clean sweep from me for this latest Boxcitement box. I liked that the theme was seasonal without being too on-trend that the contents would have felt out of date in a month or so. 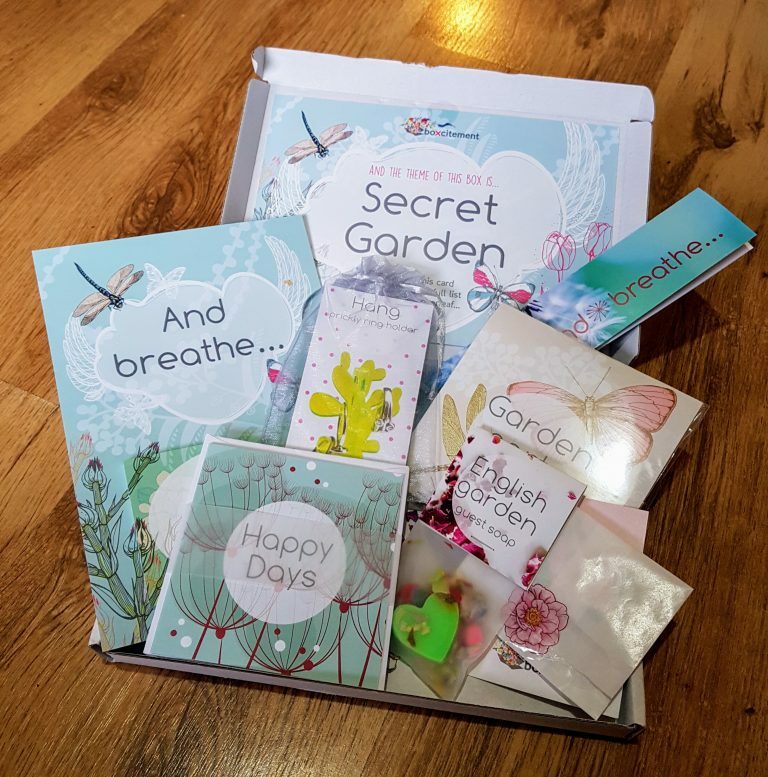 I think you can justify the cost of the box this month purely on the coasters, earrings and ring holder - and it's a bonus that the other items are (by and large) also rather wonderful. Well done guys, keep up the good work!